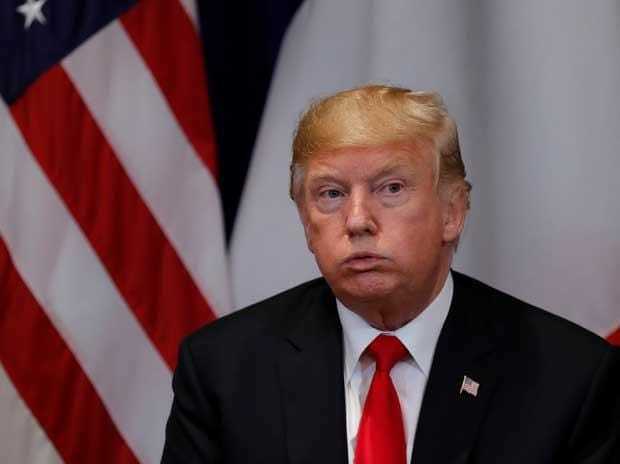 President Donald Trump has said he wants talented people who can help American companies to grow to enter the US, asserting that a wall along the Mexico border is the only way to check illegal immigration. Chairing the first Cabinet meeting of the year, Trump said on Wednesday there was a need to fix the "crazy" loopholes in the immigration system. "We want to end all of this nonsense, the visa lottery system. So, they pick them out of a jar," he said in his remarks at the meeting which was dominated by the issue of illegal migration and border security. "We want to pick people to come into our country on the basis of merit and talent so that all of the companies that are moving in, we have large numbers of companies, many, many companies, and more than we've seen in many years, the companies that have left our country are coming back because of what's going on," he said. "You see, our job numbers are great. We need people to come in but we can't have these loopholes. These loopholes are crazy," Trump said. He reiterated his wish to end loopholes in the legal immigration system so as to attract more people based on merit. Trump said his administration wants people to come into the country legally and on merit. "We need people to come into our country. But they have to do it through the system, they have to do it legally and we want people that can help our country - where it can be based on merit and achievement, people that are going to be helped, the companies that are going to be coming into our countries, which are so many," he said. Trump said everyday border patrol encounters roughly 2,000 illegal immigrants trying to enter the US. Every week, 300 Americans are killed by heroin, the vast majority of which comes across through our southern border. "Our southern border is like a sieve. It just pours through our southern border. And unless we're going to have physical barriers, it's never going to be able to be stopped. Too much money is being made," he said. Last month, 20,000 minors were illegally smuggled into the United States, he said. In the last two years, officers arrested 235,000 criminals who were able to come in over the years through the United States, he added. "I think you see that even last night where people charged the border, tried to get through but they couldn't because we have a wall up. But tear gas was flying and a lot of things were happening and I guess for the most part you've seen it. It's very sad. "If they knew they had a physical barrier, if they knew they had a wall, if they knew they had something that's going to stop them, they would have never come up in the first place," he said as he made his case for a wall along the Mexico border. Trump said only a wall can stop the flow of illegal immigrants. "Walls work. If you look at Israel, I was with Prime Minister (Benjamin) Netanyahu and he threw up his hands. He said 'I don't understand why they fight you on a wall'. In Israel, as you know, they built a wall. He said '99.9 per cent it works'. And it would with us too. It'll work almost 100 per cent of the time," he said. "We have much less of a problem and we'd save money, so much money on a monthly basis, probably would pay for itself in a month or two because we lose pretty close to $250 billion on illegal immigration and I would say that it could be on a monthly or couple of months it would pay for the wall, pay for what we're talking about," he said. Trump has been seeking a USD5 billion in Congressional funding for the wall, which he believes is essential to stop the flow of illegal immigrants into the US. The opposition Democratic party has opposed such a funding and blocked its passage from the Congress. The stalemate has resulted in a partial federal government shutdown.